Arch is an isomorphic single page app framework built on top of React and Immutable.js. It was announced and open sourced at the React London meetup in April by Viktor and Tiago. 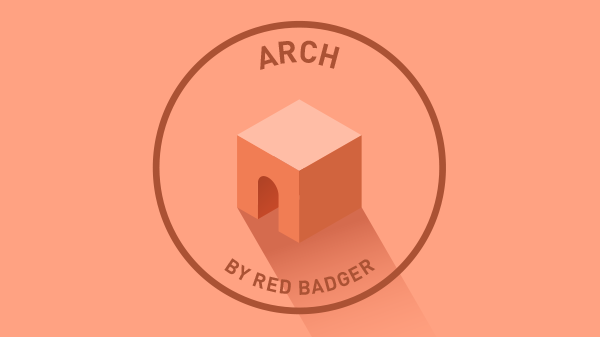 Many of us at Red Badger are really excited about Arch, its performance, flexibility and openness. Last week we had a first of its kind Arch hackathon at the HQ, and here are a few updates we’d like to share with you. Official Twitter handle is reserved - it’s ArchFW. Follow it to get quick updates on development and future events (especially if you’re in London!). It is also one of the quick ways to contact team, ask questions and get feedback. New dedicated organisation is now available on Github - Arch-js. It contains all Arch -related repositories, including Core of the framework, command line client and example apps from the original announcement talk. We invite you to join the discussion under the core repository. Post issues you encounter, or comment ongoing topics. If you have an idea on missing example app that would enable you to try the framework, feel free to add it here. Crash course into Arch and functional web programming is now fixed and available for brave new users. You’ll find even more chapters on Arch internals, concept of immutables, cursors and isomorphism in the docs folder. We also have reserved domain archjs.org for the upcoming webpages. And don’t forget the talk from London React meetup by Viktor and Tiago with introduction to Arch and apps with centralised state. Arch is now properly open sourced with BSD 3 license. We hope you’ll like it.